Picobirnaviruses (PBVs) are emerging and opportunistic viruses with possible zoonotic potential. 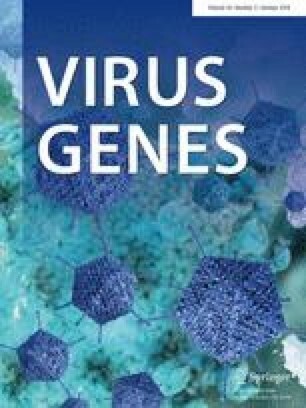 In this study, we present the detection, molecular characterization, and genotypic differentiation of PBVs from genogroup I in bovine stool samples from different Brazilian regions. A high proportion of PCR-positive samples (23.4%) was detected in a total of 77 analyzed. Nucleotide identity, alignment, and phylogenetic analyses revealed high diversity among the studied sequences. The results obtained indicate, for the first time, the circulation of bovine PBVs belonging to genogroup I in different Brazilian states, with heterogeneous phylogenetic-clustering profiles. This research was funded by the Fundação de Amparo à Pesquisa do Estado de São Paulo (FAPESP, Nos. 2006/52060-3 and 2012/18441-0) and Conselho Nacional de Desenvolvimento Científico e Tecnológico (CNPq, No. 472509/2010-1). JON, MC, SRAQ, MGB, MCL, and RLMS conceived and designed the experiments. JON and MC performed the experiments. JON, MC, SRAQ, and RLMS analyzed the data. JON, MC, and RLMS wrote the manuscript. AMF participated in revising the manuscript. All authors read and approved the final manuscript.